I love smoothies and make them quite often. 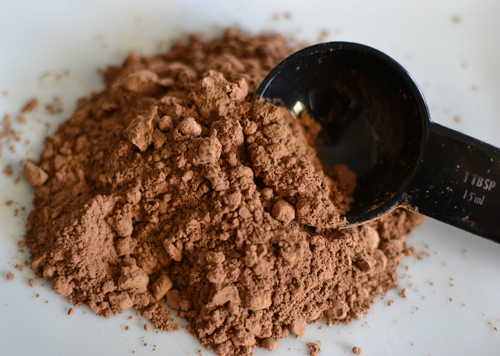 They're the perfect mid-day or post work out snack and depending on what ingredients you use, they can be pretty healthy. Thanks to the addition of greek yogurt, this one is packed with protein and seems much more indulgent than it really is. It only took a couple of minutes to prepare and was just what I needed to satisfy my chocolate/peanut butter craving without any of the guilt. Do you use 3% greek yogurt, or wich one? Today I start with a Banana and Berry smoothie. Definitely going to have to try this one. Bananas, coco powder, and peanut butter might be the best combo ever! I love this smoothie! Feels so indulgent, but isnt lol. Ugh! You're killing me girl! I can't do dairy right now and this looks so frickin' amazing. I'll bookmark it for when I am able to indulge. Hope you & Eliana are doing well. 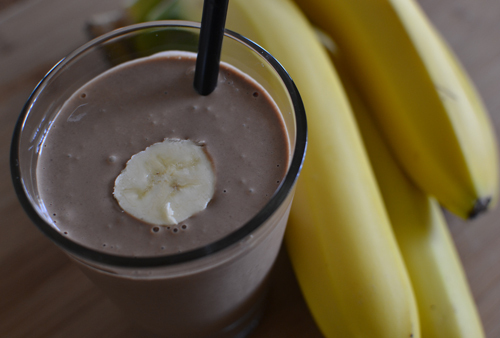 Banana, chocolate, peanut butter. what could be bad?!?! Thanks for posting this. It looks delic! 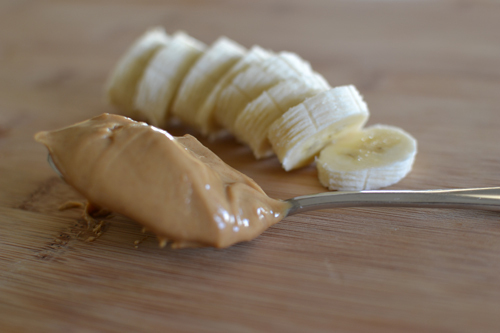 I'm not a fan of peanut butter, but that looks delish! Oh wow, this sounds amazing!! Will definitely be making this one!! mmmm so good! I love using almond butter though!